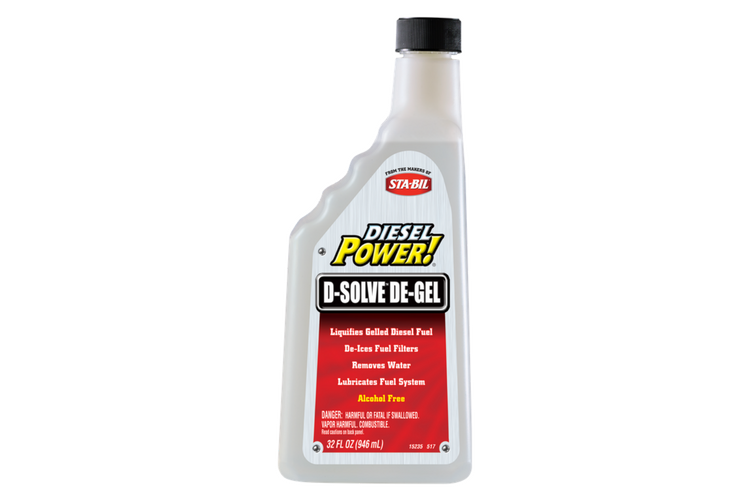 Diesel Power Maximum Anti-Gel protects against fuel gelling up to -40 degrees Fahrenheit and lowers cold filter plugging point by up to 36 degrees Fahrenheit. 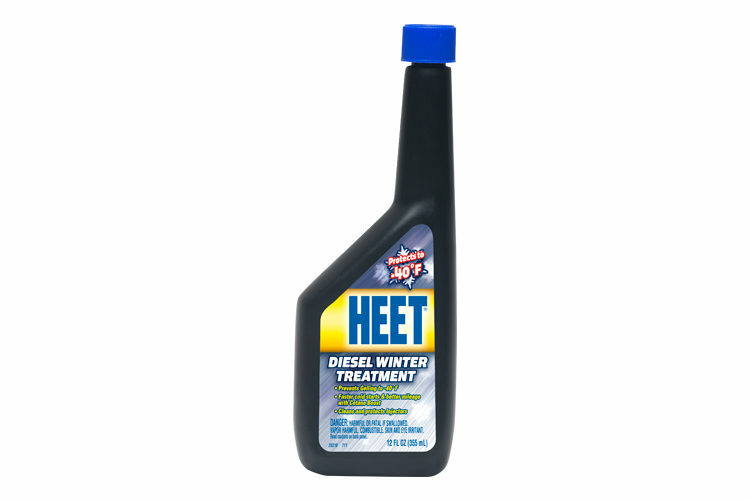 Continue to treat fresh fuel during freezing weather. FREEZE WARNING: Pourability is lessened if stored below 32°F. 20 oz. 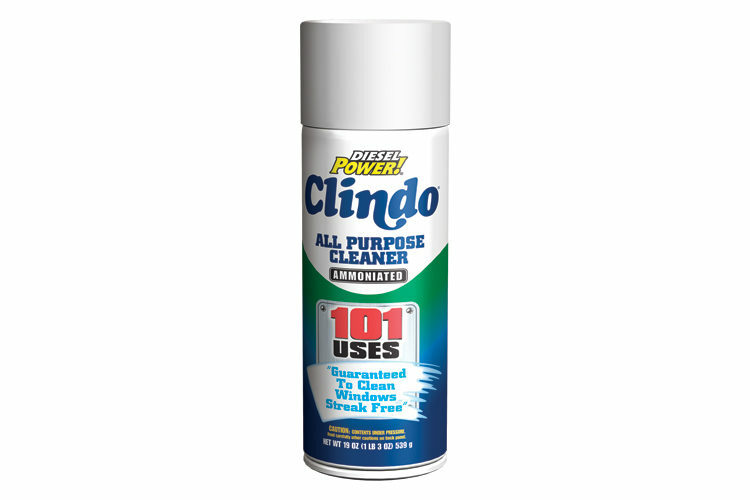 bottle cleans and treats fuel systems up to 150 gallons. 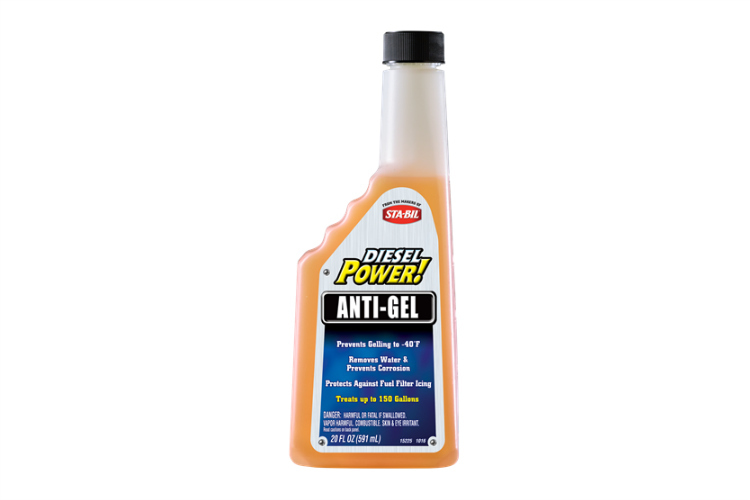 DieselPower!® Anti-Gel is rated 4.8 out of 5 by 19. Rated 5 out of 5 by John P from Better mpg for my 7.3 living in souther California it rarely gets below 50 degrees, I used a container of the dieselpower anti gel in my tank, while gelling wasn't something I had an issue with, I did notice increased mpgs for the next 3 tanks, going from 19/20 to 22/25 when on the freeway. Rated 5 out of 5 by MacFly from Works Great! I live in Charleston, SC and normally don't have a need for a product like this. However, this past weekend I had to go up to Charlotte, NC where the temperature held steady well below freezing. 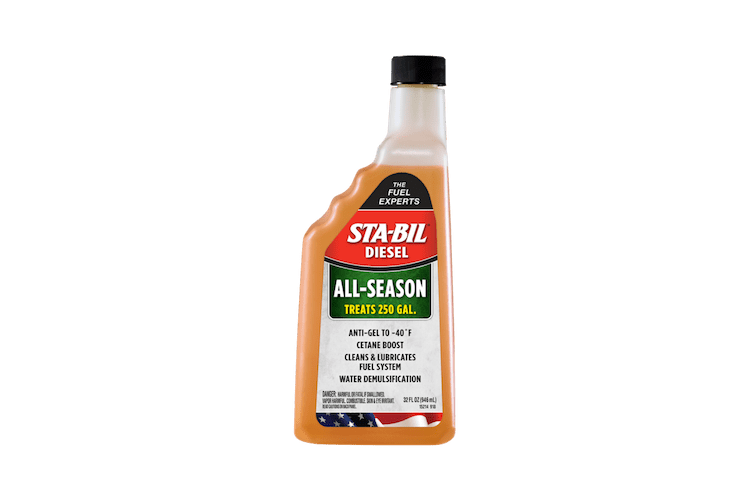 I added it to my fuel before I left and my truck started great each morning and ran perfect! I will definitely use this again when I need to head North. Rated 5 out of 5 by Ziggy from Does what it Says I literally just bought a Diesel Box Truck, I got the product just in time. Here in the Northeast we had a stretch where the temperature stayed under 30 for about 9 days. My truck did not gel, started every time & ran great. I'm Assuming because of this product my fuel didn't gel, I will continue to use & buy this product. Rated 5 out of 5 by Stevay2005 from Extra insurance for my diesel It's not enough to trust today's fuels. The source might be fine though with aging underground tanks that could lead to contamination and less scrupulous station owners that might be manipulating quality, it pays to add some insurance to the mix. Easy to measure and easy to pour. Highly recommended. Rated 5 out of 5 by Fearless old monicker from Dispenser bottle I received this diesel power anti gel maximum just as the weather changes polar vortex froze equipment everywhere. Not my diesel equipment. This anti gel is just what I needed easy use measure easy to see great STUFF. Rated 5 out of 5 by Hoss from works great! after getting this product we had some very cold weather here in Iowa -20 to -30 ! added Diesel power Anti-gel and had no problem with my fuel at all while others I talked to had some problems with there fuel ! Rated 5 out of 5 by farmboy555 from Prevention - Add it to your fuel all winter I've been trucking now for 45 yrs all over the US & Canada. Never had a fuel problem as long as I pretreat with Diesel Power The key word here is pretreat Don't wait until your stalled on the side of the road.